Many dentists recommend electric toothbrushes over old-fashioned manual toothbrushes. 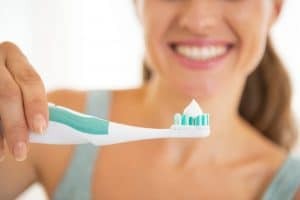 As there are both pros and cons to electric toothbrushes, some information can help you make a decision. The most important benefit of an electric toothbrush is it can do the most thorough job with the least amount of effort. When you use an electric toothbrush, it will remove more plaque. It can greatly reduce your risk of gum disease. Electric toothbrushes are also easy and fun. This can be especially useful if you have children in your family. From the motion of the toothbrush to its built-in timer, children enjoy the features. You may never need to nag your children to brush their teeth because it is so much fun. It is a simple way for them to learn good oral health habits. However, there are reasons you may prefer a manual toothbrush for oral care. One reason is an electric toothbrush needs to be charged. Whether you use a charger or replace toothbrush batteries, it can be especially complicated when you are away from home. You may not have time for it when you are at work, school, or traveling. Electric toothbrushes do not offer many options. You have a wide variety to choose from when you buy a manual toothbrush. You can find different sizes, colors, and bristles. An electric toothbrush is also more expensive than the manual style. If you compare the costs of well-known brands, you will see the difference. Whether you have a very small budget or a large family, a cost can be a factor when you are buying toothbrushes. You should also take into consideration how long a brush will last, and how often it must be replaced. You can start by assessing your oral care needs, your personal preferences, and your budget. If you are still unsure of which type to buy, your dentist can offer advice. Whether you choose an electric or manual toothbrush, oral health means using it regularly. Your new toothbrush can contribute to oral health when you use it correctly, three times each day.